A big emphasis when designing Amped FIVE is productivity, however this is not usually what initially attracts people to the software. Most user feedback suggests that it’s the impressive samples of different enhancement filters. After analyzing video for some time, you get acutely aware that in many cases, the quality of the video to analyze is simply not sufficient to get any of those amazing results seen in the samples. We have all been asked to get the licence plate from three white pixels or a face from a single macroblock. It’s no surprise then that FIVE users report that it’s the speed and ease with which you can do routine tasks that makes FIVE their software of choice. FIVE makes easy tasks easy and difficult tasks, well, easy too. 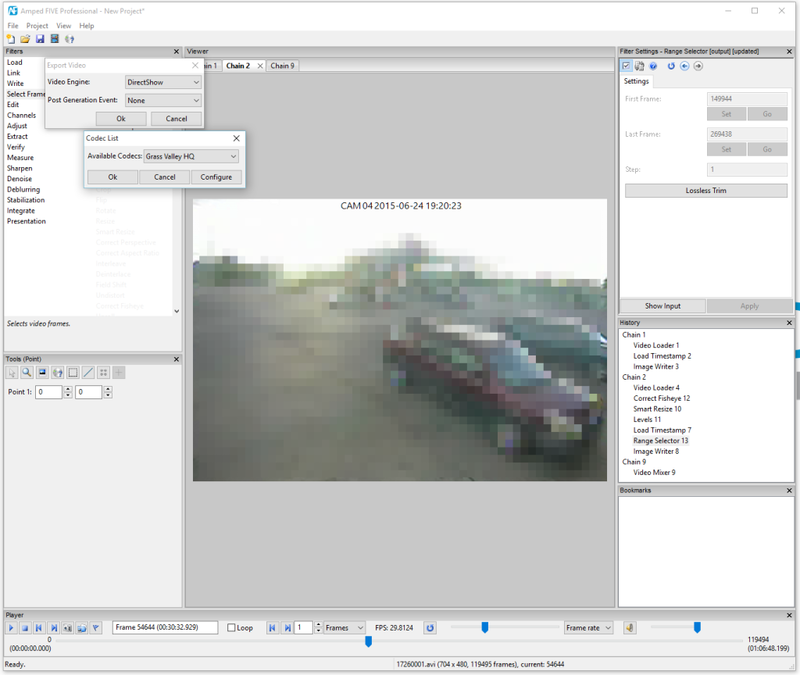 From converting a proprietary video file, to selecting a few frames, to add a time-stamp, to deblur a frame, applying super-resolution or apply a spotlight effect on a moving subject. And then, after the work has been completed, the reporting stage. No need to hope that I have taken screenshots of all my software parameters and settings. With FIVE its just 2 clicks away. This means, without any exaggeration (many of our users prove it-Testimonials), that tasks which normally could take one or more days, can be done in a few hours. 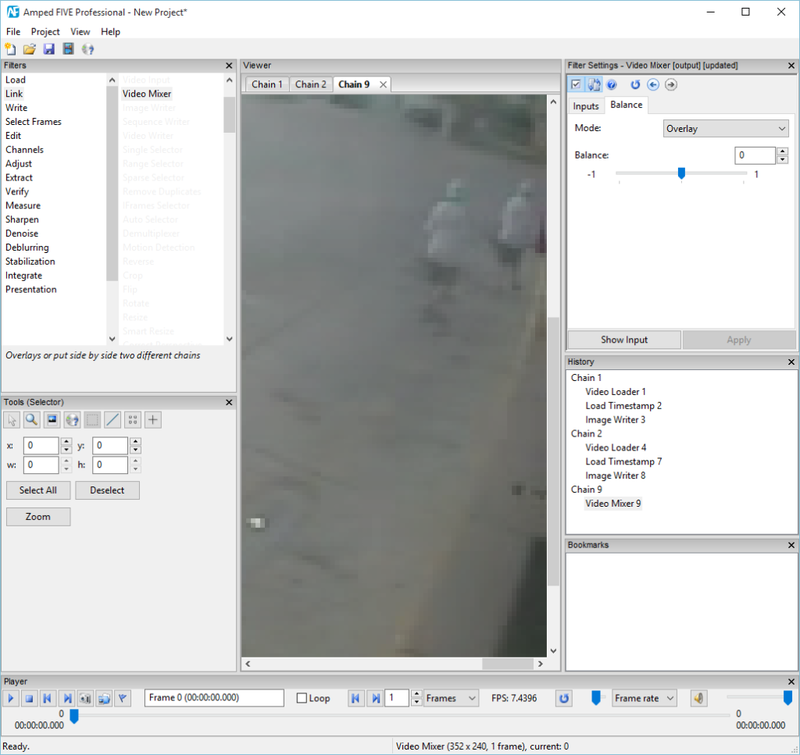 There are many different tasks that an analyst or investigator may have to complete when dealing with a piece of video evidence. Ensuring that they can all be completed without unnecessary delay or technical challenges is one of FIVE’s many advantages. In this post I show a practical example of this. 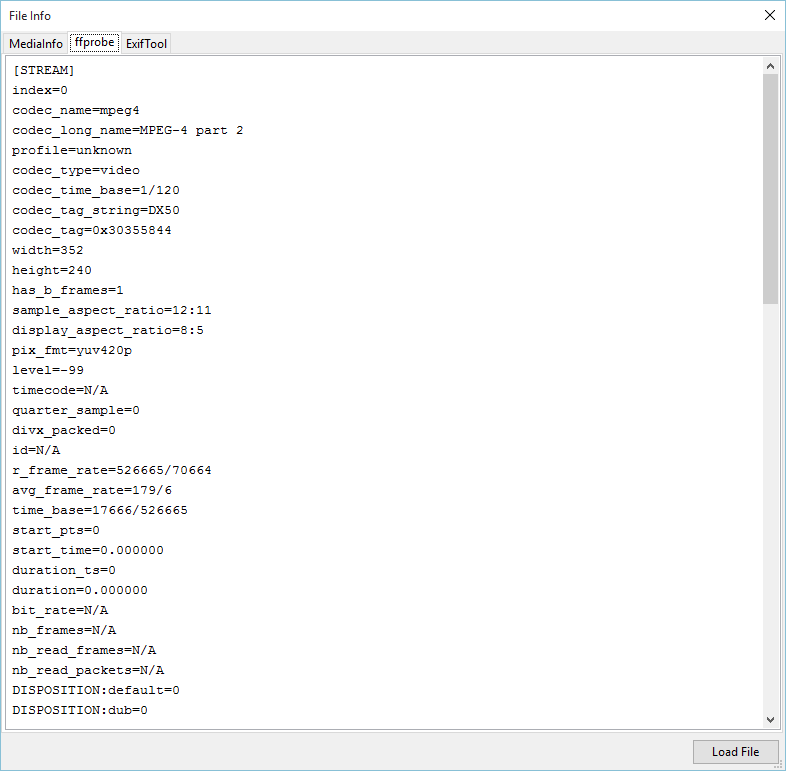 Some of you may remember a post on spreadys.com a number of years ago, explaining some of the challenges with Samsung AVI and SMI Files. You will see that I had to utilize a number of different pieces of software as I was met with a number of different challenges. All of this takes time, and time is something we are all rather short of! Amped FIVE not only makes it quicker, but it keeps everything contained and the best part is that, when it comes to reporting what you have done, its just a few clicks of the mouse. This was highlighted to me this week with a new case, but with the same Samsung AVI and SMI Format. 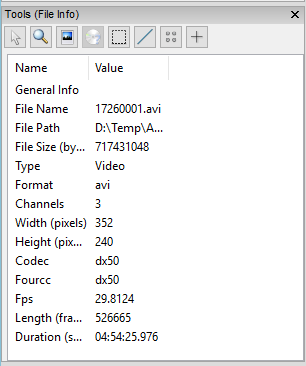 Dropping the file into FIVE’s user interface immediately results in playback, and I can see that this is being achieved through the FFMS Video Engine. In the Tools section, I can change my selection to view the basic file information. I can see that the FourCC for the Codec is dx50 and it has a frame count of 131430. A new function, to be released shortly, is a more detailed File Information Tool. This will be accessed via the disk icon near the top of the user interface. This immediately flags up some issues. Although it has been unable to count the frames, it can present the frame rate and time base. These should use the total frame count and here the result states I should have 526665 frames! 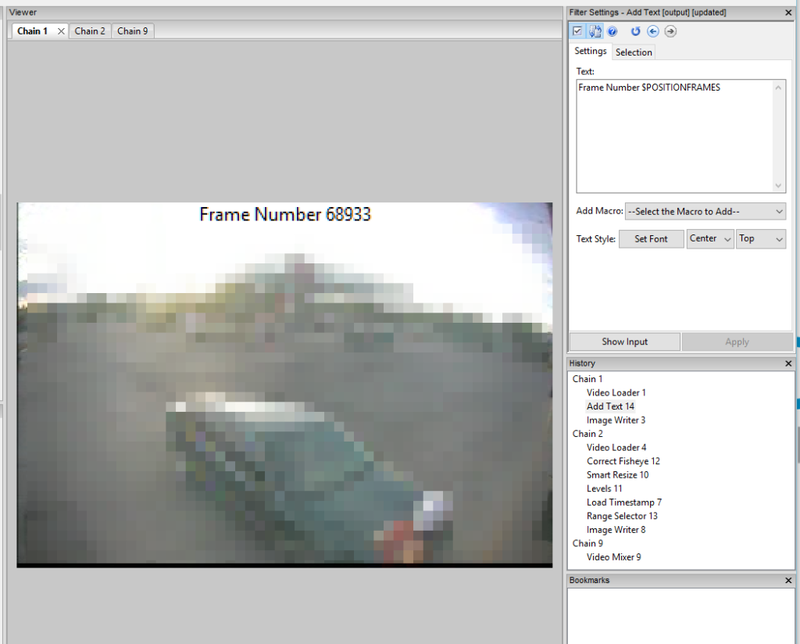 Using DirectShow, it now reads with a different frame count and a different FPS. I have now loaded in the same video, using two different ‘engines’. I have reviewed the important metadata and how each file is being interpreted but, importantly, I have not moved out of Amped FIVE. I can now move between my two chains and quickly see some of the differences and understand why I have different frame counts, frame rates and timing. DirectShow is reading and decoding this file using the Container information. If you again remember from my old post, the SMI file is a subtitle track containing time information. We will need to use this more later but for now, we can use this to identify differences between the two methods of reading this file. 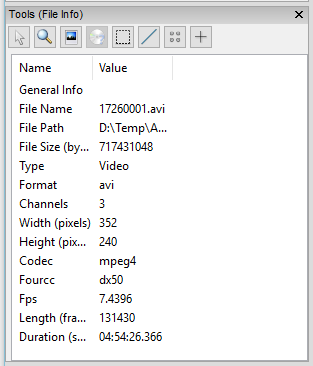 By loading the timestamp in as a filter on both files we can overlay this data on top of the video. Scrubbing to somewhere around the middle of the file and selecting the same TIME from the subtitle, ‘should’ result in the same picture… and we can use the new MIXER filter to achieve this. As can be seen – this person should not be in two places at the same time! It now comes down to what needs to be achieved…. and again I can do it all within FIVE, from the same project. Chain 2 was utilising Directshow and this is the one that should be used for the timecode. The reason why, is that the subtitle has been written for the container timing. As can be seen from the filter chain in the above image, I have corrected the fisheye distortion, resized and then loaded in the timestamp. 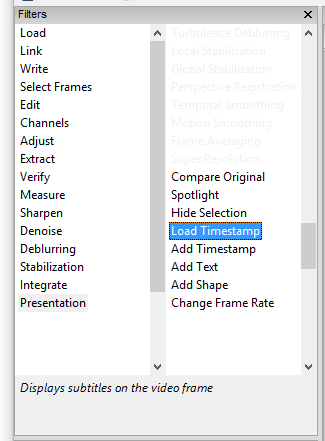 The Load Timestamp filter takes the text information from the SMI file but you are able to override the color, size and location of this information on the overlay. Really handy when it should be white text, but you have a white sky! Using the Range Selector I can then export a part of this video to the format of choice. For Chain 1, I don’t want to deal with time, but in images. As a result I can overlay the correct frame number and export these. For the tasks requested of me, I have opened one single piece of software and completed all my analysis, enhancement and processing within the same project. What I do now with those exported videos and images is up to me, and is again related to what is required. My videos can now drop straight into a multi exhibit video timeline, if that was requested. All of the work has been completed quickly, scientifically and is repeatable… and my report? Completed with two mouse clicks. To end, It’s only correct to go back and look at the timing briefly. It is irregular, with anywhere between 5 and 8 times for the same second. 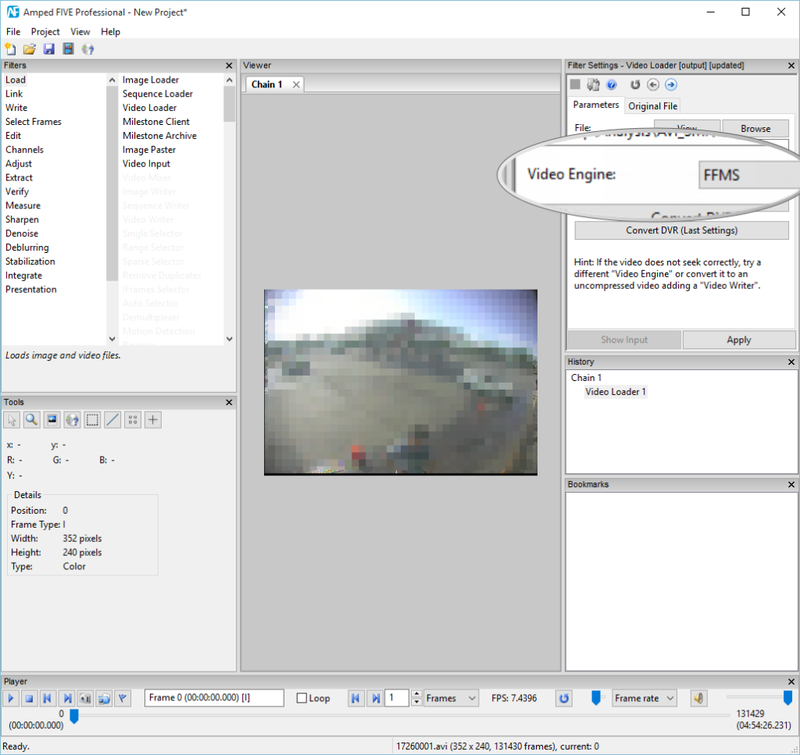 This timecode has been created to match the video length, after the DVR has transcoded the original recordings and created the standardized DivX AVI file. It has the start time and the end time and just adds in the times in between. Is it accurate to the second? Pretty much. But here’s a question.. Could you get further accuracy from the timecode subtitle? Could you, or should you, use that information to perform speed analysis? Its hard to put a value on time but, as well as completing work expeditiously, we must also ensure that our work is completed correctly. There is no point in cutting corners in order to get the job done quickly. With Amped FIVE, the functionality and workflow avoids those corners altogether! This entry was posted in Announcements, Cases, FIVE on August 31, 2015 by David Spreadborough.